Acharya Venkatesha has been a dedicated practitioner of Yoga for over thirty years now. His life is as amazing as his practice. Read on.. He discovered Yoga in 1987 purely by accident when one of his childhood friends who was practising with a Yoga group challenged him to perform Shirshasana [Head stand]..To the sheer surprise of everyone, Acharya Venkatesha, who had neither hailed from a Yoga family nor practised any asana before performed a perfect headstand in the very first attempt. Not just that, he demonstrated many other difficult positions in less than five minutes just by watching once. The group was thoroughly thrilled and gave him an open invitation to join them. They had found an inspiration in him. With very little non-specific instruction from a teacher who never frequented the class that much, the young Venkatesha had nothing to guide him except his unquenchable thirst for learning. He found his source in the Yogasana competitions which were then very popular in India. He really did not care about the results. What really mattered to him was the learning experience. With an eidetic memory and a very keen sense of observation, he watched the other competitors thoroughly and practiced everything he watched. At that time, he was practising for over seven hours a day with avid focus and determination. With such dedication and effort, he learnt all he saw and more. He became well-known for his "Picture-Perfect positions which were" simply perfect and never too much". He was a practitioner who very much appreciated the nuances and technical aspects of asanas. This led him to study the methods of BKS Iyengar. He could not afford to study with Iyengar himself due to lack of resources. But, he mastered every word and every posture of Iyengar's book "Yoga Deepika" [Light on Yoga] . This helped him very much in becoming the teacher he is today. Like BKS Iyengar himself, Yogacharya Venkatesha is also a purely self taught master. He had no Yoga family to support him or encourage him. However, his sincerity towards practice made him change himself and lead a Yogic life . For him, Yoga was always a way of life. Naturally, he won all the prestigious competitions including the National Gold Medal. He also won the fabled "Yoga Samrat"[ Emperor of Yoga] crown.This competition not just any competition.It involved a very strict assessment of Asanas, Pranayama, Kriyas, Bandhas and Meditation. He not only won himself but also helped other students learn and win competitions. By then he was renowned as the best Trainer who could make anyone win a National competition. Under his guidance, the Atmavikasa team made an impeccable record of winning state championships for ten years in a row- the highest for any single organisation, till date. The eleventh year, while still at the peak, he decided to quit the competitions once and for all. He had started to feel that the competitions had lost their zing. There was hardly any Yoga in those competitions due to the red-tapism and discrimination of the so called "authorities". There was no spirit left in the competitions anymore.. This was the time when Mysore had started to appear on the global map of Yoga. At that point of time, there were only two other teachers in Mysore - Sri K.Pattabhi Jois and Sri BNS Iyengar- who were teaching International students. The Foreign Yoga students who came to Mysore would often hear about a "Young Yogi" performing amazing Asanas and gave free lessons for all. They came searching for him to see and learn. That amazing Yogi was none other than Acharya Venkatesha. The first western student visited Acharya in 1996. After this, they started flocking him to learn his amazing back-bending positions. Many of those who came, were stiffer than a stick and needed a "special treatment" to improve their flexibility. To help everyone gain flexibility safely and quickly, Acharya Venkatesha designed his signature "Back Bending techniques" program for the first time ever in the history of the Yoga world. Many young kids who are now teachers also...ahem...let us just say, followed the trend and started offering back-bending classes . 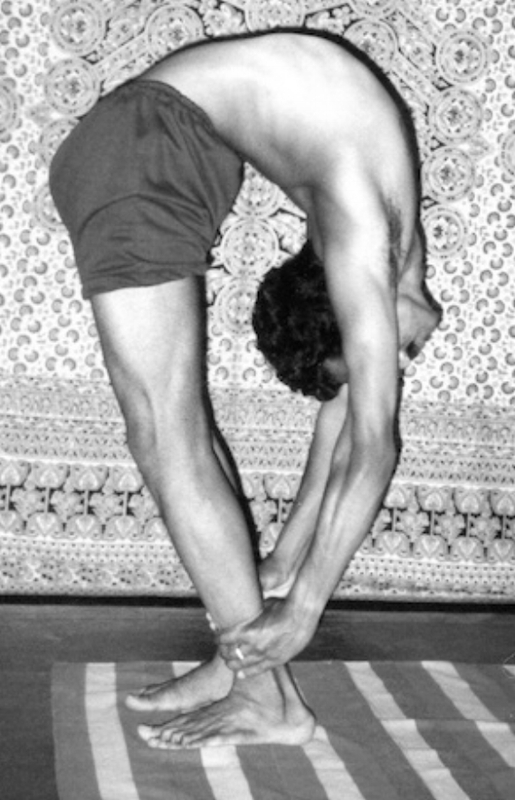 However none of them reached the original glory- the secret and special "techniques" of back bending remains with Atmavikasa even today . In 1997 Acharya Venkatesh married Hema, who was then his student. Together with Hema, he renamed his school as "Atmavikasa Yoga Vignyana Mandira" which means a Temple of Yogic dedicated to Self Realisation. 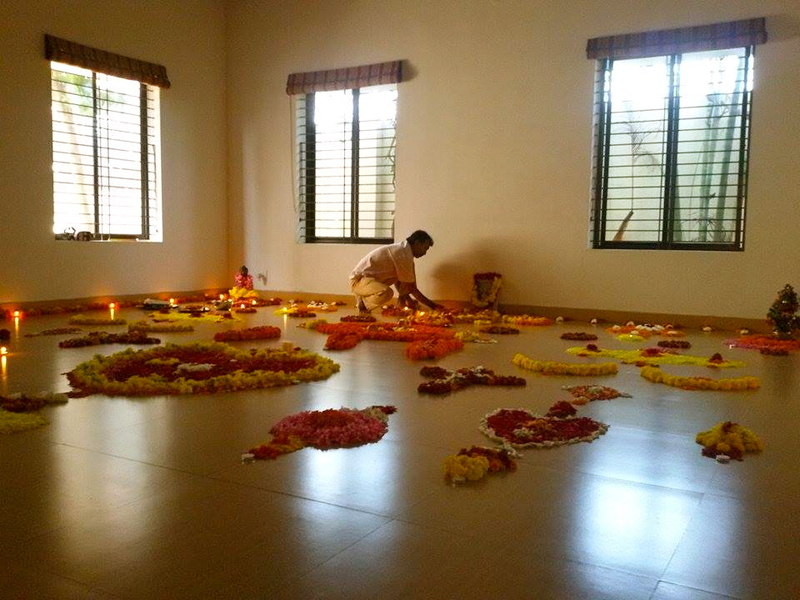 They started the first Yoga Teachers Training ever in Mysore in 1997. Inspired by the success, suddenly many teachers started to follow the trend again.. Atmavikasa was the first International shala in Mysore to offer so much more than just Asanas It was also the first shala to introduce code of conduct and dress code. t is amusing to read the very same code repeated word by word in the website of another popular shala , even today. Acharya Venkatesha has always been a Trend-Setter and a role model to many young teachers. Between 1997-2002, Acharya Venkatesh and Acharye Hema together trained thousands of students in a range of Yogic sciences with discipline and dedication. In 2001, for the first time ever in his life Acharya Venkatesha started to experience a severe pain in his neck. He ignored it at first- but later it became unbearable. His joints started swelling. He could barely walk.. When he approached various doctors, they diagnosed it as cervical Spondulosis and osteoarthritis.They all suggested the same thing "Quit Your Practice". Obviously,this was totally unacceptable to him. But,by then, he had tried all systems of medicine including Ayurveda. None of them had worked so far. This was a shocker. He had always practiced very regularly, had been a Vegetarian and had lived what is called as a "Sattvic life". He was always very careful in his practice minding never to stress his body and practiced all the counter positions with care. And yet,this had happened.. evidently, there was something wrong and nobody knew how to fix it. 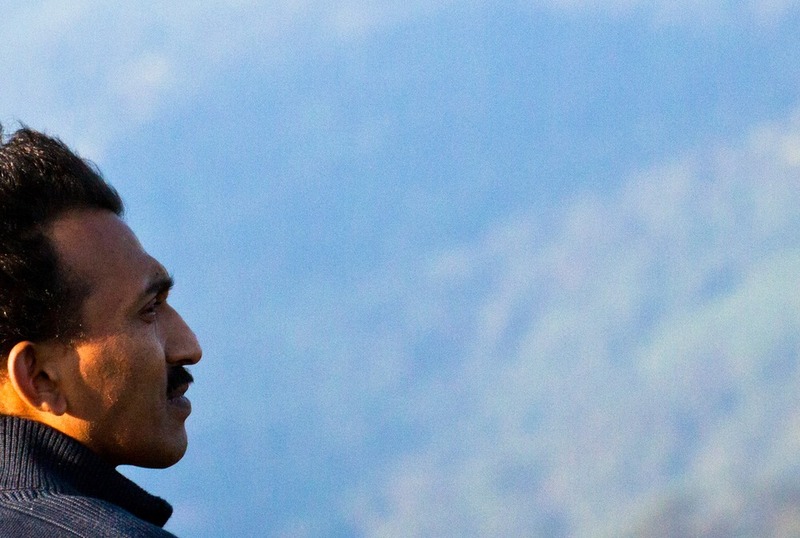 Having hit a dead-end, at the peak of his career, Acharya Venkatesh decided to start his practice and Yogic life from scratch. He dropped the practice of all advanced positions and started practicing basic asanas. He re-examined each movement,each action, and each breath with mindfulness. He was surprised to see how the little moments of unconsciousness in the commonest of actions like walking, when piled up, can affect our body adversely. He realized how the so called "Safe, Sattvic food" can actually drain Prana from the body. He realised that there were many other requirements besides practice to complete the science of health.It made him realise why many great Yoga teachers - even someone like Iyengar himself- suffered from various ailments, despite practising.This changed his entire vision about Practice. With this newfound wisdom, he changed his life style thoroughly once again and established a solid practice of Meditation. He started practicing asanas with the deep mindfulness that he had developed through solid research and experimentation. After this, his pains slowly vanished and he started feeling much more vibrant and healthy than ever before. All the detoxing mechanisms and mindfulness lessons he learnt helped him rejuvenate his body and slowed down the process of ageing. He started looking and feeling much younger than his age. Also,he became simple, fearless, wise and emotionally poised. Even today, he wakes up at 4 AM and practices for two and a half hours before starting to teach. He has hardly missed a day of practice ever since 1987. He is still capable of performing all those amazing postures. But now, he feels that they are mere playthings. He knows that the "REAL STUFF" is in the mind. From a Teacher to a Master..
Acharya Venkatesha always had the ingredients of a great teacher. Just like his idol BKS Iyengar, he was highly disciplined, knowledgeable but also very strict. However, the intense pain he went through and the consciousness he gained in the process of overcoming it, softened him and filled him with compassion. He learned to see way beyond the physical aspects of people and practice. His experience in internal practices as well as self healing, manifested in his teachings as well. It transformed him from a Teacher to a Master. Today, he is known as "The Teacher of the teachers" and someone who can help students transform their body, mind and lives. Earlier he was a perpetual student of Yoga- Today, he is a humble student of life. He is a Master Yogi in the truest sense and the world is his practice room.